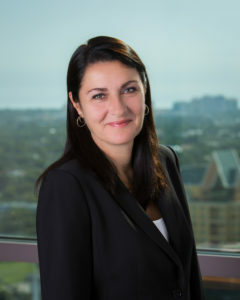 Fort Lauderdale partner Sandra Krumbein will co-chair the Advanced Condominium and Planned Development Certification Course sponsored by The Florida Bar Continuing Legal Education Committee and The Real Property, Probate and Trust Law Section. The course will take place at the Loews Portofino Bay Resort at Universal Studios in Orlando on February 9 and 10. Presenters will discuss condominium and homeowners association planned development law and operations from the developer and association perspective. This advanced 2-day seminar will assist practitioners prepare for the Condominium and Planned Development Certification Exam being administered in March 2018 in Tampa as well as provide a comprehensive overview of the condominium and planned development practice area. To learn more about the course and register, please click here. Sandra Krumbein is a partner in the Fort Lauderdale office, where she is a member of the Real Estate Practice Group. A Martindale-Hubbell AV® rated attorney recognized as one of the Best Lawyers in America® in real estate law since 2013, Sandra regularly represents developers, lenders, bulk purchasers and sellers in all aspects of residential and commercial real estate transactions and development.